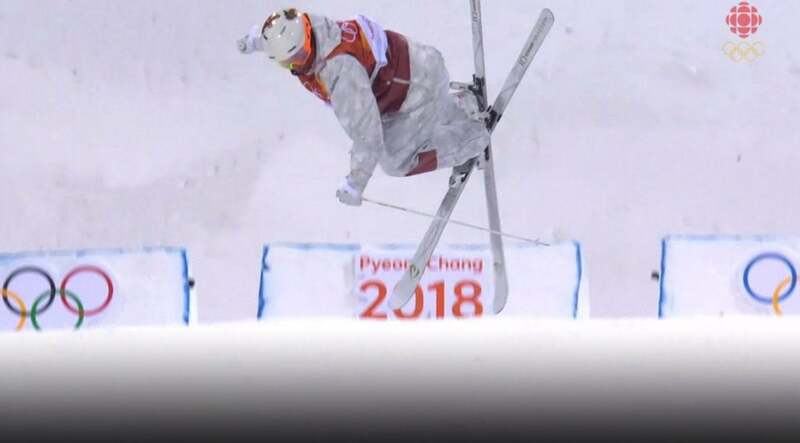 "We'll have more from the Olympic Games in PyeongChang after these messages from our sponsors." Tired of NBC’s incessant commercial breaks during its coverage of this year’s Olympic Games? Fed up with the network’s banal stories about the athletes in competition? Up until last November, there was a wonderful, free alternative: accessing the BBC and CBC from a free VPN that was built into the Opera browser. But that door has been closed, and you’ll need to seek out a paid VPN service instead—or Opera’s free trialware. We’ve already shown you how to watch the Olympics without paying for cable TV. What’s the next step? Watching them through a VPN (virtual private network). You can use any VPN you’d like, but there aren’t really any VPNs that offer free, unlimited data. Opera did, which made it so special. A VPN “tunnels” through the internet, providing a secure conduit between you and a website that information travels through. It’s good for security, but there’s a side benefit: the “end” of the tunnel can come out in a different country than the one you’re sitting in. You could be in the U.S., for example, but the website thinks your PC is physically located in England. To tap into the BBC, for example, the content provider needs to be convinced that your browser and your PC physically reside in the U.K. Some people use VPNs to get access to Netflix movies that wouldn’t otherwise be available for streaming in the country they reside in (most often due to licensing issues the movie studios insist on. Netflix, incidentally, has become wise to this practice). Using a VPN to get around regional licensing restrictions is admittedly something of a moral/legal gray area. 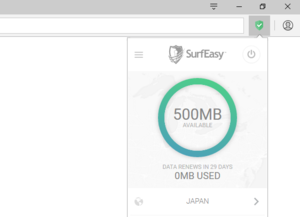 Opera built a free and unlimited VPN into its Web browser, which was supplied by SurfEasy, a company Opera bought Unfortunately, in November Opera sold SurfEasy to Symantec, and revamped its VPN. 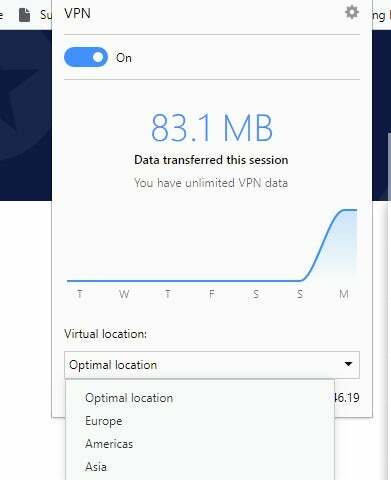 While Opera still has an unlimited, free VPN service, the regions have been generalized: you can’t select from Canada or the U.K., just a generic “Europe” or “Americas” location. Neither allows you to actually access the BBC or CBC directly. Your solution, unfortunately, is to seek out a separate VPN service. The free services we tried didn’t provide medal-winning quality, but most offered a decent picture. We’ve compiled an extensive list of paid VPN services, many of which offer solid protection for just a few dollars per month. But what if you don’t want to commit to paying for the duration of the Olympics? You have a couple of options. Opera’s free browser VPN just doesn’t offer the region specificity that you’ll need for this task. The first is simply to download the SurfEasy VPN service, which hasn’t disappeared. It can plug into Chrome or Opera, and offers options to surf from a Canadian or U.K. IP address. Video quality varied from average to decent—nothing really comparable to the way things were, unfortunately. The real problem is that SurfEasy only offers about a gigabyte of bandwidth, with the option of increasing your allowance through “rewards” like sharing the service with friends on social media. That bandwidth cap disappears fast when streaming video. There’s another alternative: the free version of Windscribe Pro, which offers the convenience of being our recommended choice for accessing Netflix in foreign countries and offering a nice free package to boot. Windscribe Pro includes a free version with a 10GB monthly cap, and though its endpoint choice is limited, there’s still the option of the U.K. and Canada. And if that’s not enough, you can invest $9 per month to be free of NBC’s rah-rah promos and watch a foreign provider instead. Step two: PC or your TV? The quality of your connection will depend on how many people are using the VPN connection at any given time. Unfortunately, all of the CBC video streams through a window whose UI remains in place, rather than completely disappearing when you switch to full-screen mode. If you’re content with watching the Olympics on your PC, or connecting your laptop to a TV via an HDMI connection—that’s it, you’re done. What about connecting via a Chromecast? Or viewing the BBC broadcast via VPN? For those scenarios, read on. The CBC stream has “fly-in” data that you can view either during the match itself or during one of the breaks. While Opera can’t natively use Chrome extensions, there is a workaround: an Opera extension called Download Chrome Extension. If you download and enable it, you should find that most of Google’s own Chrome extensions are enabled in Opera. 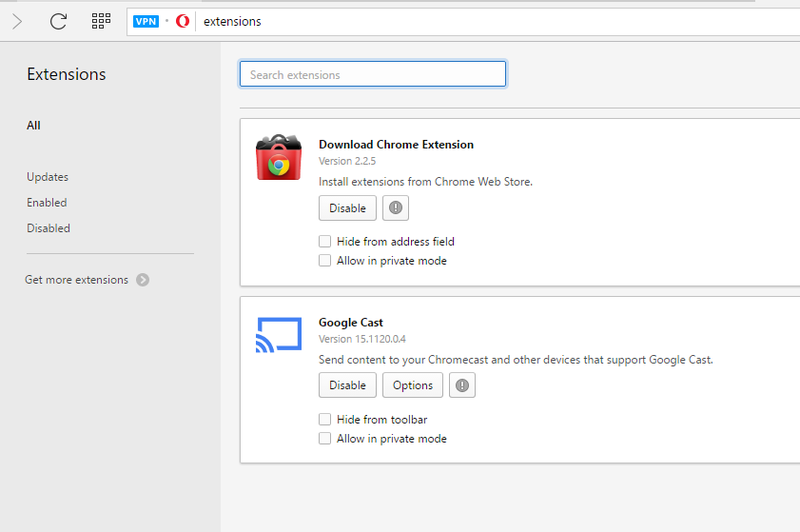 You can add whatever extensions to Opera you wish, but here are the two you’ll need to stream to a Chromecast. That opens up an entire world of extensions to Opera, but the one we want to add is Chrome’s own Google Cast. Google Cast allows you to “cast” your Web page to your TV screen. I’ve had middling results with Google Cast (as opposed to casting a YouTube video to my Chromecast) but you might find it works for you. And, since you’re no longer “restricted” to using Opera, you can also use Chrome, Edge, or any other browser to connect, too. Even in the days of Opera’s solid, free, Internet connection, connecting to the BBC was tricky. Your best bet, then and now, was using a third-party VPN connection. You’ll want one that connects to the U.K. The SurfEasy VPN can be turned on via an icon. If you’d like more data to play with, there are a number of ways to get it. Once you’ve done all that, toggle on the VPN and then select the United Kingdom location. You’ll then be able to select the BBC’s Olympics page and watch its feed. Be aware, however, that the BBC might ask you to confirm that you’ve paid your TV license fee. The BBC funds its programming via taxes, and the £145.50 (about $189) TV license applies to just about every TV watcher in the United Kingdom. How you respond to that question is up to you. In my experience, the CBC appeared to make its broadcast open to anyone who accessed it via a Canadian IP address, no questions asked. 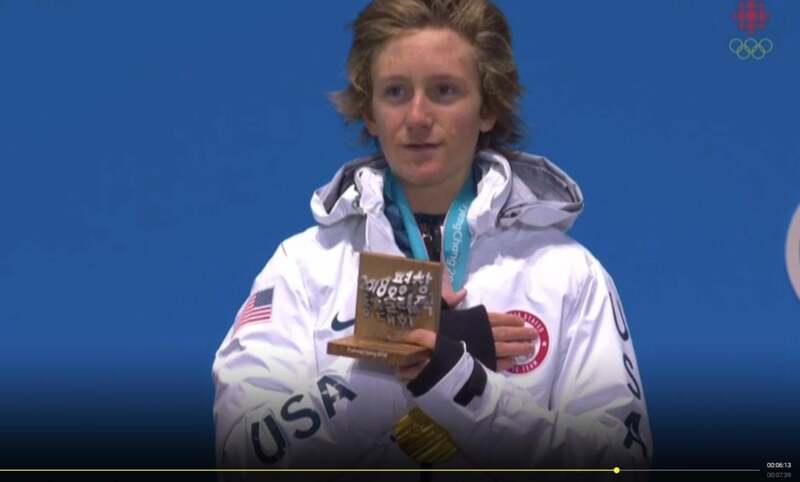 And that, in fact, is why watching the Olympics online can offer a much better experience than watching the Games on TV. In the case of the men’s archery team competition during the 2016 Summer Games in Rio, for example, I noticed that the same commentators were calling the competition in multiple countries—and doing a fine job of it, too. These were the OBS commentators. NBC doesn’t use them for any of its on-air coverage, but I used the Comcast X1 set-top box to “stream” the women’s epee competition, and it appeared that that event used the OBS commentators, too. 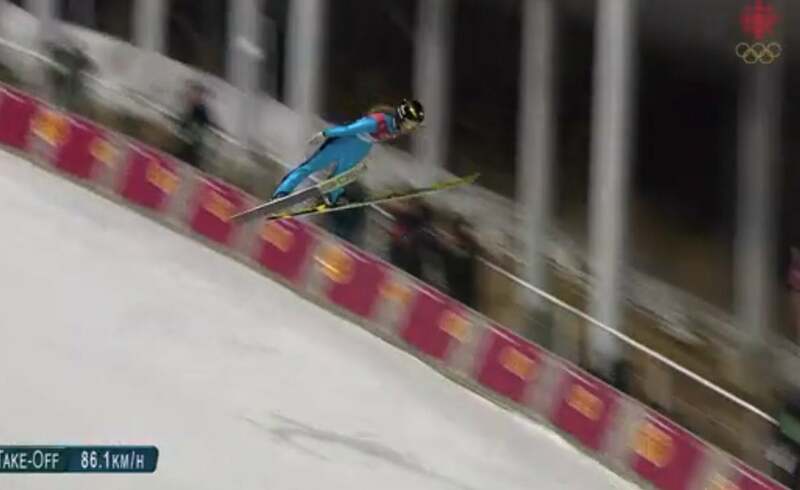 Online, even NBC uses the OBS for certain events. Unfortunately, Comcast apparently assigns an intern to monitor the OBS feeds, for with every break, bang!—a flurry of ads appeared. From what I can see, there’s no way to tap into the OBS feeds directly. But you’ll probably find that lesser-known events will tend to be called by the OBS team than with local broadcasters. You can’t blame NBC too much, though. With 102 events involving 42 sports, that four-hour prime-time block fills up fast. But there are a wealth of options online for those of us craving just a little more depth. You just need to know where to look. This story was updated on Feb. 12, 2018, with new information.